Are All Dopamine Agonists Essentially the Same? Dopamine agonists (DAs) represent an excellent treatment option for patients with Parkinson’s disease, in both the early and advanced stages of the disease, improving motor symptoms, lowering the incidence of motor complications, and addressing several non-motor symptoms. Indeed, each of these compounds have different pharmacokinetic and pharmacodynamic properties, resulting in a unique efficacy and safety profile. Comorbidities, prominent non-motor symptoms and individual subjects’ clinical characteristics should guide the choice of a specific DA, allowing better management of the patient by optimizing the DA benefit/risk ratio. In this article we discuss brain distribution of dopamine receptors and their role in each of the dopaminergic pathways, the pharmacological profile of non-ergoline DAs and class-related adverse effects, as reported from post-marketing studies. No specific funding was received for this work by the authors. F. Stocchi has received honoraria as a consultant for Zambon, UCB, Chiesi Pharma, Lundbeck, Sunovion, Bial, SynAgile, Biogen, Kiowa. D. Bravi is an employee of Lundbeck, Research and Development department. M. Torti and L. Vacca have received honoraria from Chiesi Pharma, UCB and Zambon. Bergmann K. Center for Drug Evaluation and Research. Application number: 22-514. Medicalreview(s). 2010.http://www.accessdata.fda.gov/drugsatfda_docs/nda/2010/022514s000MedR. Accessed 29 Jun 2018. Servier Laboratories. Trivastal 50 mg LP Summary of Product Characteristics. http://www.servier.com/sites/default/files/SPC_TRIVASTAL_50mg.pdf. Accessed 09 Feb 2019. 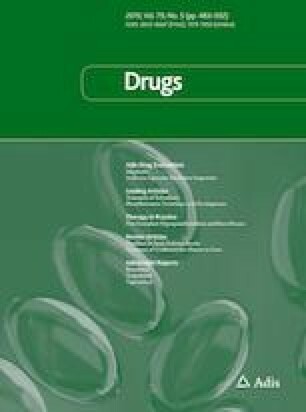 Food and Drug Administration, FDA Approved Labeling Text forNDA 021264. http://www.accessdata.fda.gov/drugsatfda_docs/label/2010/021264s009lbl.pdf. Accessed on 15 Sept 2018. PharmaPendium, Post-marketing reports (AERS) for apomorphinehydrochloride and cardiac disorders. https://www.pharmapendium.com/postmarket.do?initial.drug%5B0%5D=Apomorphine+Hydrochloride&structure=false&multiView.statEntityType=EFFECT&chemistry=false&initial.effect%5B0%5D=Cardiac+disorders&multiView.entityType=DRUG. Accessed 15 Sept 2018.